In some future millennium when the definitive history of Planet Earth is chronicled for all to see, the impact and influence of both ancient and modern Greece will occupy countless chapters. It was here in ancient times that many accomplished architects, philosophers, poets, teachers and thinkers would prove influential in the development of the Western World, and the collective works and legends of such great men as Aristotle, Hippocrates, Homer, Plato and Socrates live on today, and for very good reasons. The recorded history of Greece began in the Bronze Age (3000-1200 BC), with the rise of many powerful regional cultures. Typical of ancient civilizations, they too eventually crumbled, and in Greece, they were followed by the growth of Athens and Sparta (consequential city-states), as well as the development of Greater Greece. During this 'Classical Age' massive construction projects were undertaken including the building of the Parthenon atop the Acropolis, enduring literature was written; Socrates, the fabled philosopher, was inspiring the youth of the day with his unwavering commitment to logic and truth, and the spark was lit for the birth of the modern principles of democracy. In 776 BC, the first Olympic Games were held in Athens. This lengthy creative and prosperous period was eventually interrupted by a Persian invasion of the mainland, a war between Athens and Sparta (won by the Spartans), and the rise of Alexander the Great and the Macedonian Empire. Subsequently the Romans invaded Greece and quickly took control. The Western Roman Empire began to fade around 300 AD, and Greece became a part of the Byzantine Empire, or the Eastern Roman Empire. Constantinople (now Istanbul, Turkey) was the capital city and Constantine I became its first Christian Emperor. The Byzantines lasted for some nine hundred years, until Constantinople was conquered in 1204 during the Crusades. In the early 16th century the Ottoman Turks captured this capital city, and most of Greece was then under Turkish control. The War of Independence with the Ottoman Turks began in 1821, but Greek independence was the direct result of military support from Britain, France and Russia. For on-going stability reasons, those powers and other European forces decided to install a non-Greek king, and that monarchy concept remained into the 20th century. During WWI, Greek troops fought with the Allies but there were problems growing on the home front. In 1936 the Communist Party had widespread popular support and in that same year General Metaxas was appointed prime minister by the king and he established what would prove to be a disastrous fascist dictatorship. In World War II, Greece was first invaded by Italy and then occupied by the Nazis. After Germany's defeat by the Allied Forces, internal fighting continued in Greece between supporters of the king and Communist rebels, with Communism finally crushed in 1949. Greece made a positive move and joined NATO in 1952, but a few years later a military dictatorship took control and it soon suspended many political liberties and forced the king to flee the country. The 1974 democratic elections and a referendum created a parliamentary republic and abolished the monarchy. In 1981 Greece joined the EU, and has never looked back. Administrative Regions (or Peripheries) (13) Nine on the mainland and four island groups, including: Attica (Athens), Central Greece, Central Macedonia, Crete, East Macedonia and Thrace, Epirus, Ionian Islands, North Aegean, Peloponnese, South Aegean, Thessaly, West Greece and West Macedonia. World-famous for the remnants and ruins of ancient civilizations, stunning scenery and crystal clear waters, a dependable mild and sunny climate, and of course, the warm and friendly Greek hospitality, it's no wonder then that the spectacular country of Greece and its many islands are wildly popular travel destinations for students of antiquities, sun worshippers, and for all those looking for an enjoyable and relaxing vacation. If you ever stand (and you should) next to the Parthenon (built in 450 BC) high atop the Acropolis in Athens, we guarantee that you will find it to be an inspiring experience that almost defies description. Right there in front of you in all directions is the beautiful and modern non-stop city of Athens, and at the same time, on that very spot, are some of the greatest buildings ever constructed, and they're still standing. In Athens, and for that matter all around the country of Greece, you can literally reach out and touch great moments from the history of mankind. The Greek Isles are an integral part of the country's tourism industry and all are served by a reliable first-rate ferry system. These islands were the birthplace of many ancient civilizations, and with almost 1,500 islands to visit, there's an endless variety of things to see and do. You'll find many unspoiled beaches, coastal caves and mountains to explore, countless sailing, scuba diving, water skiing and wind surfing venues, and of course, archaeological sites at every turn. Greece is a comfortable, friendly country and here they welcome visitors with open arms. For travel tips, city and island details, major attractions and points-of-interest, follow the links below. Electricity Greece runs on 220 volts AC (50 cycles). Note that most modern laptop, cell phone and digital camera chargers are dual voltage and will work perfectly in Greece with just a simple adapter plug. Find electrical adapters, products and tips here! Times to Travel Greece enjoys a mild climate making it a perfect year-round destination. Travelers agree that the best times to visit are from June through September as the weather is frequently perfect. 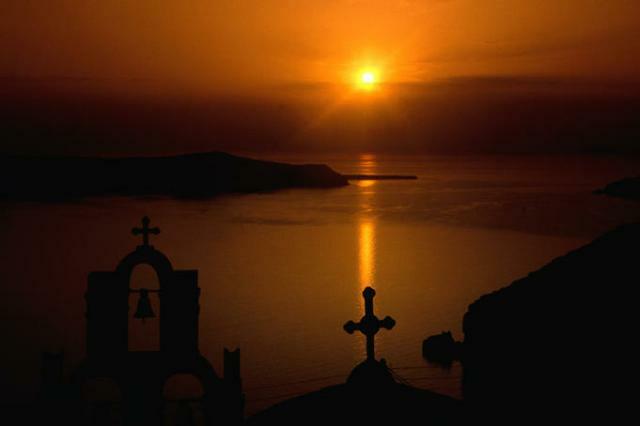 Greece offers a myriad of experiences, landscapes and activities. It is the pulsing nightclubs of Mykonos and the ancient beauty of Delos; the grandeur of Delphi and the earthiness of Ioannina; the rugged hillsides of Crete and the lush wildflowers of spring. It is the blinding light of the Mykonos sun, the melancholy throb of Thessaloniki's rembetika (blues songs), the tang of home-made tzatziki, the gossip in the kafeneia (coffee shops). It is the Parthenon - solitary and pristine - lording it over the hazy sprawl of Athens. Greece is a country with a hallowed past and an at-times turbulent present, it's full of archaeological sites and monuments of distinctive prestige and charm, on which all known periods of its long-standing history have left their mark. Visitors have the opportunity to make a unique “journey” through the rare “mosaic” of historic and cultural memory which has left an indelible mark on every region of the country and effortlessly highlights the manifold manifestations of Greek culture to date. Greece is indeed quite a remarkable place as you can literally touch the antiquities of the past and stand right where the genesis of our modern cultures and political systems began. You can also enjoy the colorful charms of its many islands, towns and villages, shop till-you-drop in non-stop Athens and meet a friendly face at every turn. "While rivers like the Nile, the Tigris/Euphrates, the Yellow and the Ganges are often credited for being the birthplace of civilization, it is ancient Athens where Western conscientiousness began"